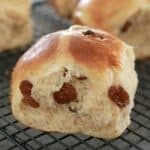 A collection of the ultimate Easter recipes… from hot cross buns to Easter cakes, chocolate desserts to cupcakes, choc ripple cakes to cocktails… and everything in between! 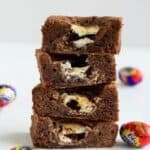 The most delicious Easter Egg Brownies you'll ever eat... the perfect moist and rich chocolate brownie recipe packed with mini Easter eggs! 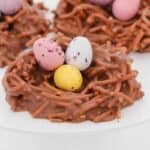 A simple 4 ingredient Chocolate Easter Birds Nests recipe made with Changs fried noodes, melted chocolate, peanut butter and mini Easter eggs. 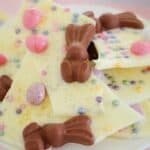 White Chocolate & Malteser Bunny Bark with mini Easter eggs... 5 minutes prep time... 4 ingredients... a totally delicious Easter treat! 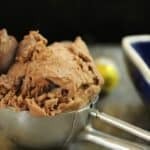 10 minute Caramel Chocolate Easter Egg Ice-Cream... a no-churn chocolate ice-cream scattered with chunks of caramel chocolate Easter eggs. YUM!! 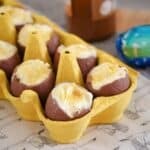 These 3 ingredient Salted Caramel Mousse Easter Egg Cups take just 10 minutes to make and make the cutest little Easter dessert!! 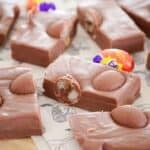 A super easy 5 minute microwave Cadbury Creme Egg Fudge made from just 3 ingredients... condensed milk, chocolate and Cadbury Creme easter eggs! 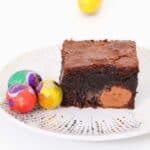 The easiest No-Bake Easter Egg Slice you'll ever make! 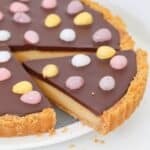 A biscuit base filled with your favourite mini Easter eggs, topped with a chocolate layer and even more Easter eggs! 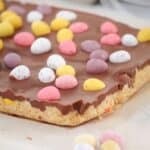 The easiest and most delicious chocolate packed Easter Egg Cookie Slice! 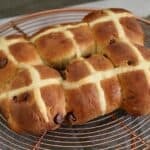 Less than 10 minutes prep time and the perfect way to indulge in an Easter treat! 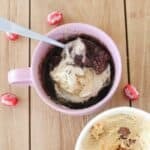 Get your chocolate fix with this delicious single serve 1 Minute Milo & Malteser Easter Egg Mug Cake! The perfect late night treat! 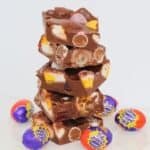 Easy Easter Rocky Road made with marshmallow eggs, crispy M&M speckled eggs, Cadbury creme eggs and raspberry lollies and covered in delicious melted chocolate. 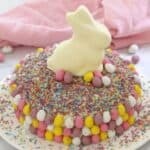 15 minutes is all it takes to whip up this show stopping Easy White Chocolate Easter Cake. 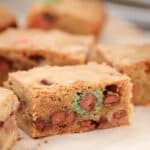 It looks AMAZING but is the simplest recipe ever!!! 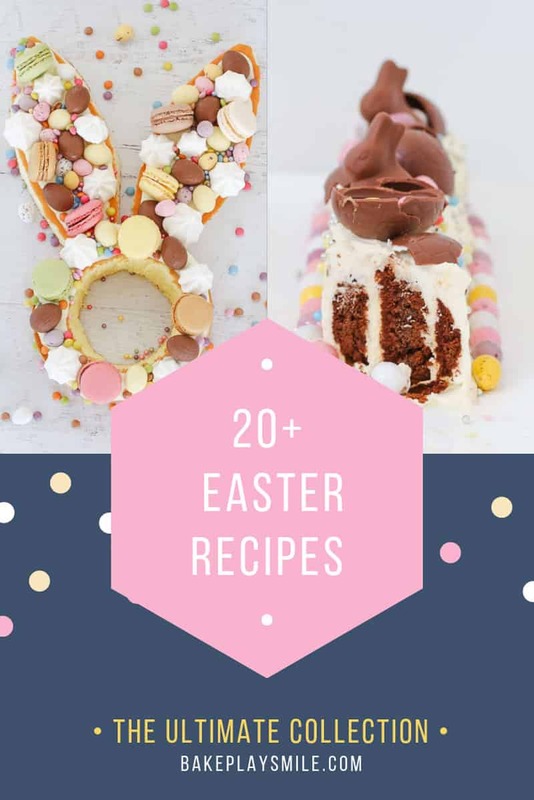 A store-bought white chocolate mud cake covered in white chocolate frosting, heaped with pretty sprinkles and decorated with pastel chocolate Easter eggs and a white chocolate bunny... this really is the ultimate Easter cake! 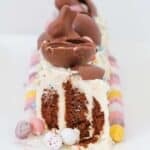 The ultimate cheats '15 Minute Chocolate Overload Easter Cake', made from a store-bought mud cake, covered in creamy milk chocolate frosting, piled high with sprinkles, chocolate easter eggs, creme eggs and Malteser bunnies, and surrounded by chocolate finger biscuits. 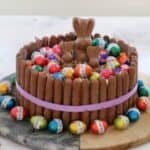 This easter cake looks absolutely gorgeous and tastes even better... talk about a show stopping table centrepiece! 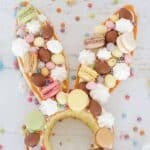 This Boozy Easter Chocolate Cocktail really is the ultimate party drink! 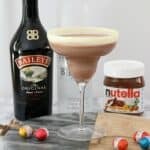 Made from baileys, vodka, milk, nutella & a sneaky easter egg hidden at the bottom! 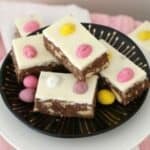 This Chocolate Hedgehog Easter Slice is a fun variation on a classic favourite hedgehog recipe... biscuits, chocolate and coconut with a special Easter twist!